What’s the one most common dress code challenge I am asked about as a stylist? Smart casual. I blogged about this earlier in the week and alluded to styling a celebrity client who had the same concerns. Well, now it’s been revealed on Nova 106.9 this morning and in the Courier-Mail today, I can chat about working this week with the lovely Susie O’Neill. Susie spoke on her breakfast radio show a couple of weeks ago about her dislike of shopping. She, like so many women I work with, was overwhelmed and uninspired by the options and felt uncomfortable going into stores and facing racks of clothing, not knowing where to start. On top of this, Susie, again, like so many women I work with, didn’t know what to look for to meet the requirements of smart-casual, that in-between dress code that requires a little bit of effort, but really needs to look effortless. After chatting to Susie about her wardrobe needs I set off to source pieces I thought would update her look, but not require a dramatic shift. We agreed she had great style, just needed a little update. Sussan was the first stop and we left with white skinny jeans (with a stretch waist band, super comfortable), a stripe tank (which Sussan do so well in a long length, great for tall/athletic builds that can often find it difficult to find tops that are long enough to tuck), and a blazer in a contrast stripe. See the final look in the image below. The blazer really was the hero piece of the day as it’s light-weight, unlined, and in a neutral colour that paired back with every outfit we went on to find. We also picked up a khaki midi dress from Sussan which Susie was excited to wear to work the following day. The addition of white sneakers made it an every-day item that could be easily adapted with a wedge heel to step it up even further. 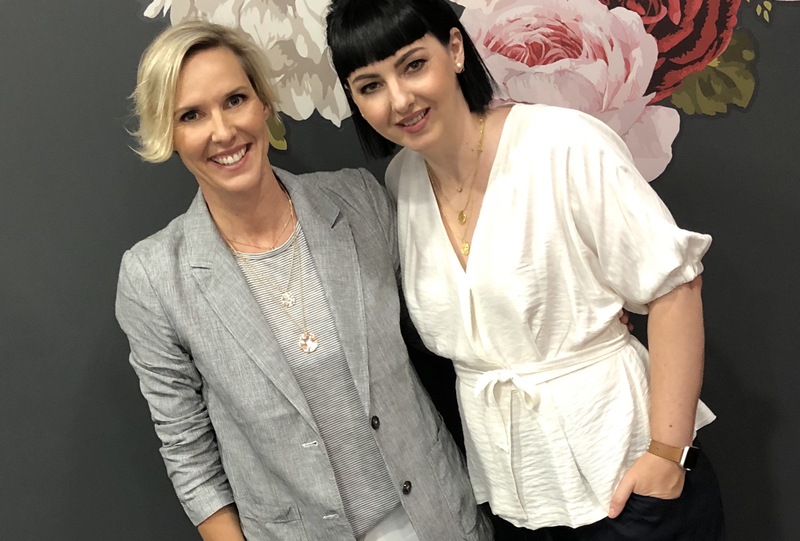 On to David Jones, Susie tried some more options and settled on a great wrap dress from Witchery, a gorgeous snake-print top also from Witchery, and some white sneakers from Lacoste to pull all the looks together. In around an hour we found about 6 mix-and-match outfits for Susie and needless to say we were both over the moon with the results. See video from our shopping adventure on the Ash, Kip, Luttsy and Susie Facebook page and more behind the scenes photos on the Toowong Village Instagram page. I am available for personal styling at Toowong Village and would love to show you how easy it is to look and feel great in what you wear.